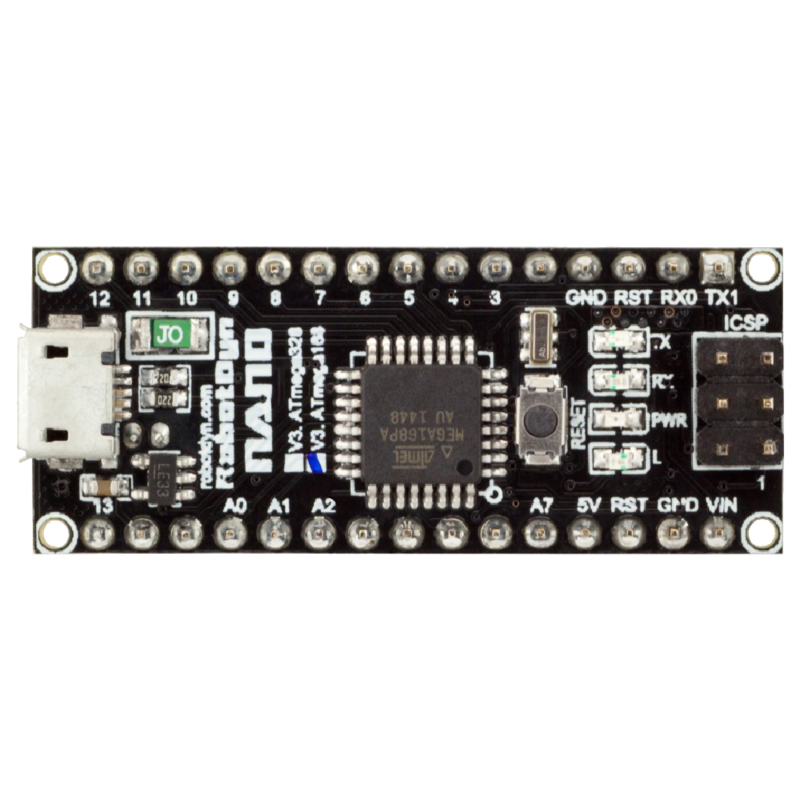 These tiny boards – compatible to Arduino Nano – are versatile and usable for various projects. The ATmega168 comes with 16 KB Flash, while the ATmega328 has 32 KB. So this Board is as powerful as an Arduino UNO while using much less space.